Midtown West is located from Hudson River to W. 59th Street to 8th Avenue to W 34th Street and has a median price of $2,192 per square foot. Midtown West has been referred to as Clinton or Hell's Kitchen. Relaxed zoning in Midtown West real estate has created a major real estate boom. Midtown West offers a more affordable alternative to neighborhoods like Chelsea, with safe, tree-lined streets, endless restaurant options, and a high profile in pop culture. High rise developments are starting to build. What continue to resonate now are the wonderful ethnic eateries and and fine dining. 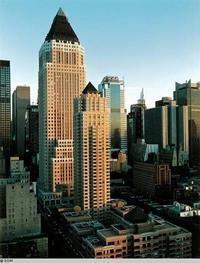 Today, tons of artistic studios and many performance venues are located in Midtown West. It is in close proximity to the Theartre District. The community in Midtown West are mainly artists who are ready willing and able to purchase fix up properties . They have the cash and skills it takes to rehab a property. Buying outside the typical "suburbs" is perfect for this subgroup of Bohos. Condos, Co-Ops and Rentals and new development are selling in this Buyers Market.